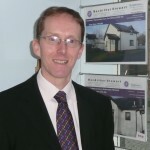 David Dewar is a Fort William based solicitor with total legal practice experience and spanning over thirty years. He has represented thousands of clients. He is recognised by clients and fellow professionals as trustworthy and always acting with integrity. He cares. 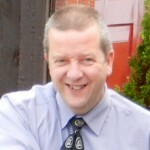 Craig has experience across a broad range of property, executry and other private client matters. Formerly having worked as a Solicitor in both Aberdeen and Wick, he has been in practice in Fort William since 1997, and is well placed to guide you through the complexities of your legal requirements.